Wow, the reaction to my John Mayer post has been swift and merciless. I've been called a wimp, people have told me they've lost respect for me, and I've even received emails asking if that was a joke. Well guess what people, that was no joke. And furthermore, I stand by my man John Mayer. But I must redeem myself to you, loving reader...immediately. 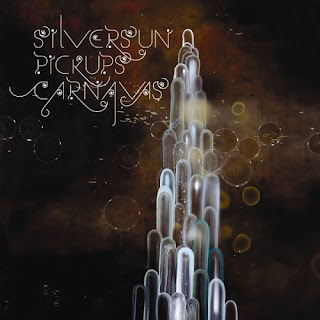 So to counteract that sensitivity, I'm highlighting the Silversun Pickups in a bonus post. This band rocks and has a female lead singer who compliments the guitar heavy music really well. Check them out. My timing is good, (isn't it always?) because they are playing the Fillmore Friday night. Last I checked tickets were sold out but Craigslist is doing a brisk business in SSPUs (what the kids are calling them according to Ananda) tix. I've done the dirty work and here is the search for you. I did the dirty work, cause I can't go and I'm hoping one of you can. If you do, and want to write an Epic Guest Review, give me a shout. For all you Out-of-Towners, or New-In-Towners, the Fillmore is a fantastic place to see a show and it's steeped in history. See here. Kudos to Bryan Kenna and Laura Kreitler for bringing the Pickups to my attention back in the day. 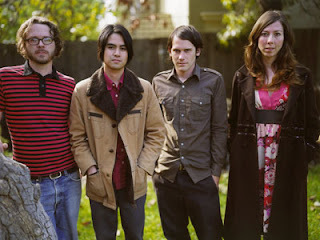 Here are my favorite SSPU songs.